Netsuke made in Hongkong mid 20th century made of Elephant ivory. In late 19th century and early 20th a lot of western collectors bought Netsuke's. Chinese workers mainly based in Hongkong jumped into this market. Quality is very good generally spoken and subjects are usually very attractive. This lovely rabbits are made in 1950ties up to 1970 and are made in the tradition of the Japanese Netsuke. 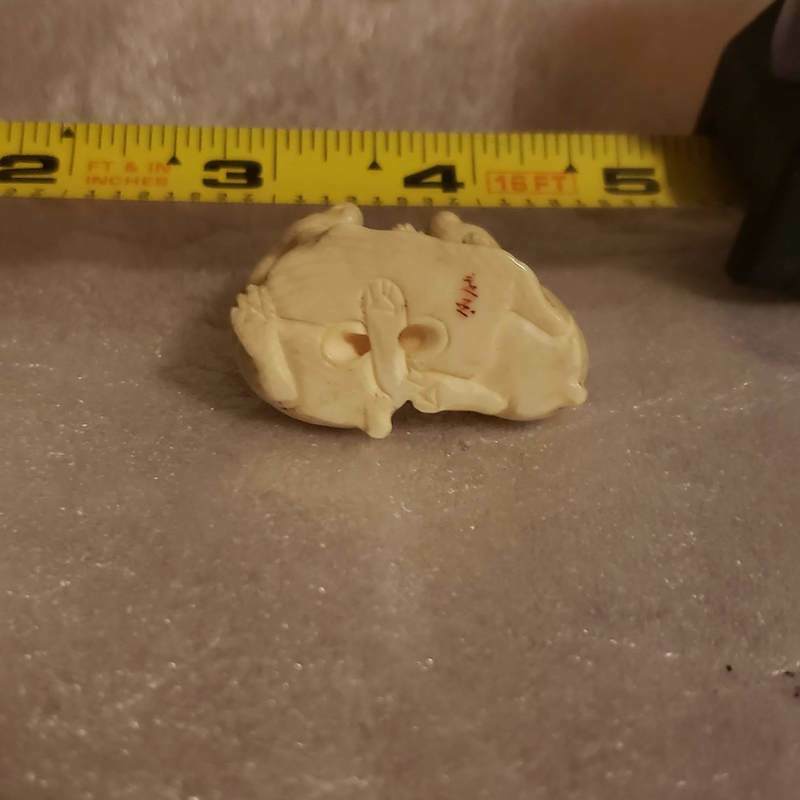 Original netsuke's have worn out holes and have no stand. These are made to put in a glass case and not to be used on traditional Japanese clothes. I put an estimate to it but there is one problem; you cannot sell Elephant ivory cut after June 1947 ( CITES regulation ). I know that estimate is fair; there are still buyers for it but you can get into trouble if you try to sell it on very visible marketplaces. So be aware of that.